Dubai: Joelyn T. Yousuf, a student from the Philippines, paid Dh365,000 to study dentistry, but towards the end of her education, the university was shut over complaints of illegal practices. 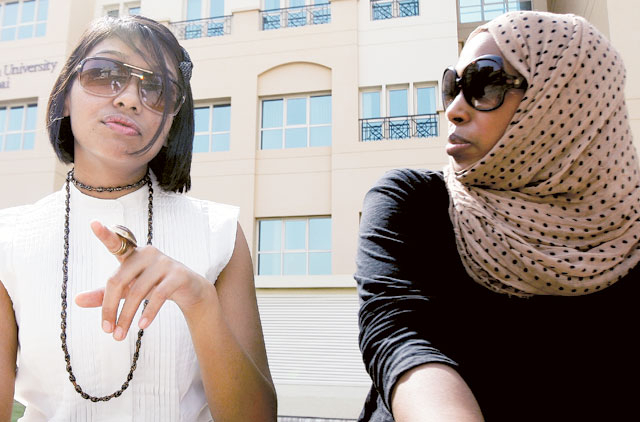 She is one among hundreds of students who have spent hundreds of thousands of dirhams and wasted precious years. The Knowledge and Human Development Authority (KHDA) has shut three academic institutions and students are looking for justice. Students have alleged that unaccredited universities were allowed to operate in Dubai for many years, some for almost 10 years, and had thousands on their rolls before the authorities discovered the irregularities. KHDA officials said last year they had cancelled the commercial and academic licences of Universal Empire Institute of Medical Sciences (UEIMS), Mahatma Gandhi University and the International Institute for Management and Technology. Officials said the institutions were shut for fraudulent activities. Students said they had no transcripts or graduation degrees. Joelyn said she and several other students of the Universal Empire Institute of Medical Sciences have been unable to contact anyone from the university. “The whereabouts of owner Sudhir Gopi are unknown. I enrolled in 2005 to study dentistry. The campus was based in Knowledge Village for two years, then in Dubai International Academic City before moving to Ras Al Khaimah,” she said. “They rented a villa in Ras Al Khaimah. The premise was not in the Freezone and it used to operate under the name of Sudhir Gopi’s company,” she alleged. An official from Dubai Police said Gopi, an Indian businessman from Kerala, used to own Sudhir Gopi Holdings in the UAE and was deported from the country in 2010. Gopi had opened many universities in Dubai. All were shut. Police said the institutions under Sudhir Gopi Holdings were UEIMS School of Medicine and Dentistry, Ras Al Khaimah; Mahatma Gandhi University Off Campus Centre, Dubai International Academic City; and Indira Gandhi National Open University Centre, Dubai International Academic City. Joelyn said she went to India in 2010 with other students for practical lesssons with the same university. “We studied there, but suddenly realised that the college in India is also closed. Now we have no papers or records of our work. The university here has also closed. I studied for six years and it cost my family around Dh365,000. I have to start all over again,” she complained. She tried to seek a transfer to other universities, but all of them demanded transfer certificates and transcripts which she failed to produce. “I have to start my studies from the beginning. I’m 25 years old. I do not know what to do, I’m helpless,” she added. Joelyn said it was strange that students did not need to meet any academic parameters to enroll with the university. The only crietria were that they had to be 17 years old, as on the date of admission, and needed to show proof of their ability to pay the quarterly tuition fees. Sagar, a Somalian, said she and her sister were victims and they lost years. “We are not rich and I had to sell everything I had for my daughters’ education,” said Sagar’s mother. Linda, a student’s mother, wanted to know why there are no checks before universities are allowed to start operation in the free zone. She said the authorities should take stringent action against people who open bogus universities, forcing hundreds of unsuspecting students lose several years of their academic careers. “How did the authorities give permission to such operators in the first place? We admitted our children because we believed them,” said Linda. “My son used to study in UEIMS. The institute does not exist anymore. We lost the fee we had paid and my son lost two years of his academic future,” said a student’s father. “I was lucky to have withdrawn my son before it closed down. He went abroad to study medicine. The authorities should take legal action against such institutions,” he added. He said the authorities must implement a system wherein names of accredited universities are listed so that students do not enroll themselves with non-accredited or bogus universities. “I think the authorities should also look into the distance-learning programmes,” he said. He questioned why the authorities did not check the standards and confirm whether the mother university would issue attested certificates and degrees to the students. A senior official at the Knowledge and Human Development Authority (KHDA) said all the three institutions were located in Dubai International Academic City until they chose to relocate to another emirate. Mohammad Darwish, chief, Regulations and Compliance Commission, KHDA, told Gulf News while they had commercial licences from the free zone authorities, the KHDA did not issue Educational Services Permits to them. All three were undergoing KHDA’s quality assurance process as set out by the University Quality Assurance International Board. They decided to move to another emirate before they completed the process.